Cities like Portland, Baltimore, Minneapolis and Phoenix have played host to GHC in the past and I’m beyond excited to see that Houston has a chance to host 12k women (and men) in tech. I wanted to throw some facts out about my lovely city so others can learn why Houston is so great! If Houston were an independent nation, it would rank as the world’s 30th largest economy The Third Quarter 2010 ACCRA Cost of Living Index shows that Houston’s overall after-taxes living costs are 9% below the nationwide average, largely due to housing costs that are 21% below the average. The three-airport system served 49.5 million passengers in 2010, including over seven million international travelers. Houston has a Theater District second only to New York City with its concentration of seats in one geographic area. Located downtown, the 17-block Theater District is home to eight performing arts organizations with more than 12,000 seats. Houston has a unique museum district offering a range of museums, galleries, art and cultural institutions, including the City’s major museums. Houston is home to the Houston Livestock Show and Rodeo. The world’s largest livestock show and rodeo attracts more than 2.2 million visitors each year. The city has the third-largest Hispanic and third-largest Mexican population in the United States. Houston ranks second in employment growth rate and fourth in nominal employment growth among the 10 most populous metro areas in the U.S. In 2006, the Houston metropolitan area ranked first in Texas and third in the U.S. within the category of “Best Places for Business and Careers” by Forbes magazine. 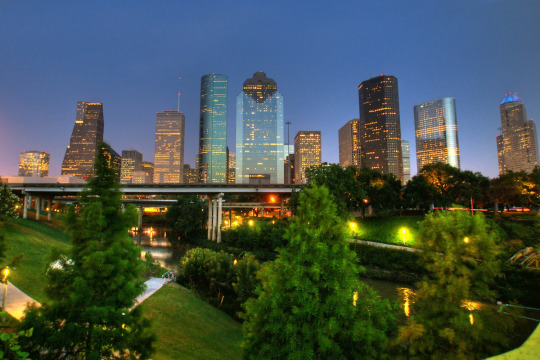 Home to and more than 5,000 energy related firms, Houston is considered by many as the Energy Capital of the world.